I thoroughly enjoyed the content and lessons in the book. The authors use easy-to-understand language in an easy to read format unlike other books that I have read in the past. The first five chapters give research-backed content that is put to use in each lesson in chapters six through 20. 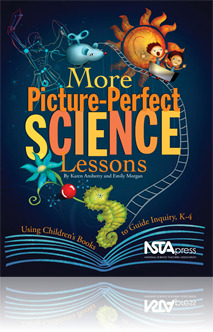 The lessons presented give clear examples of what I can do in my future classroom and I would recommend this book to any teacher or pre-service teacher who wants to learn about the use of picture books in their science lessons, the 5E model, and the other concepts presented in the book.